If you want your heart broken, watch La Santa Cecilia's video for their song "ICE El Hielo." It's a beautiful Spanish language ballad, and even if you're Spanish-challenged, the video makes clear it's about how Immigration and Customs Enforcement (ICE) and U.S. immigration policies are instilling fear in undocumented workers and tearing families apart. LA MÚSICA ES VIDA Cal Poly Arts presents Grammy Award-winning Latin hybrid group La Santa Cecilia on April 27, in the Fremont Theater. Featuring a largely undocumented immigrant cast, the video opens with Hispanic families starting their day as Marisol Hernandez sings, "Eva passing the rag over the table, there she is,/ Taking care that everything shines like a pearl/ (So) when the boss comes, she does not complain again./ Don't let it be that she accuses her of being illegal." When the chorus hits, you see the band and Hernandez singing, "ICE is loose over those streets./ We never know when it will be our turn./ They cry, the children cry at the doorway./ They cry when they see that their mother will not come back." The video culminates in an ICE raid on a restaurant, arresting a hard-working but undocumented mother. It's heartrending. Don't think, however, that La Santa Cecilia is perpetually political and sad. 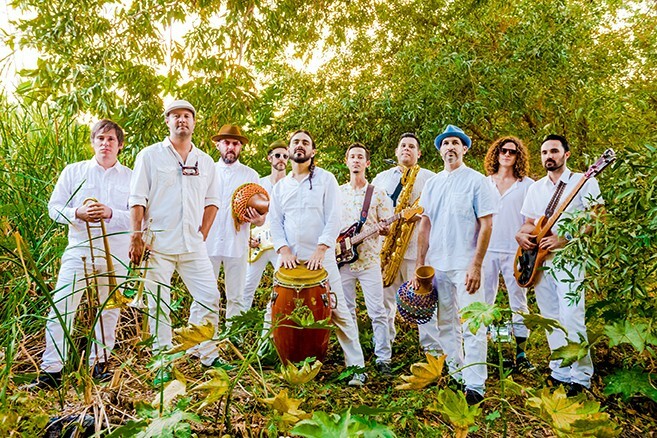 Much of the group's music is positively joyous, some is sung in English, and they mix jazz, rock, rumba, bolero, tango, bossa nova, and cumbia sounds. And Hernandez? She loves to sing about love and loss and everyday struggles in her powerful and emotive alto. 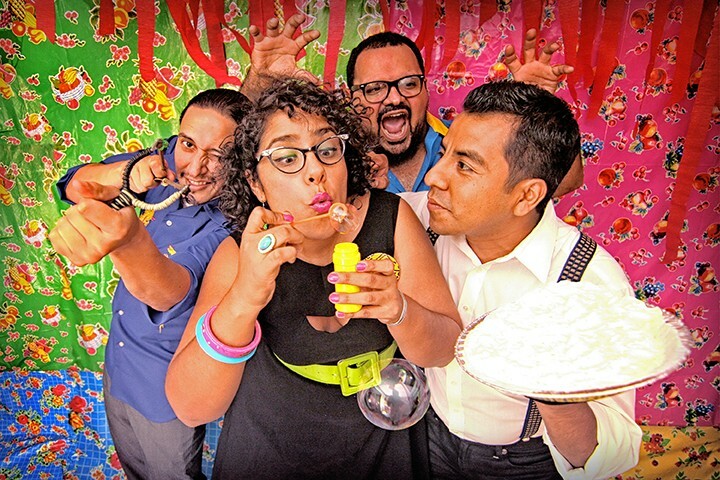 Cal Poly Arts presents Grammy Award-winning La Santa Cecilia on Friday, April 27, in the Fremont Theater (8 p.m.; all ages; student, faculty, and staff $28; general admission $35 at calpolyarts.org). Don't miss this spellbinding traditional Latin and American roots genre-bending hybrid. Son increíbles! Brett Young has a classic country voice with just the right amount of twang, which is weird because the former baseball pitcher hails from Costa Mesa where he led his Calvary Chapel High School baseball team to a CIF championship before turning down pre-draft selection from Tampa Bay and the Twins to pitch in college at Fresno State. CALIVILLE Vina Robles Amphitheatre opens its season with California country pop singer Brett Young on April 27. An elbow injury and a background singing at high school Christian worship meetings sent him toward a singing career, and after success with his 2016 self-titled debut EP, he's never looked back. He's charted with three singles, most recently 2018's "Mercy." 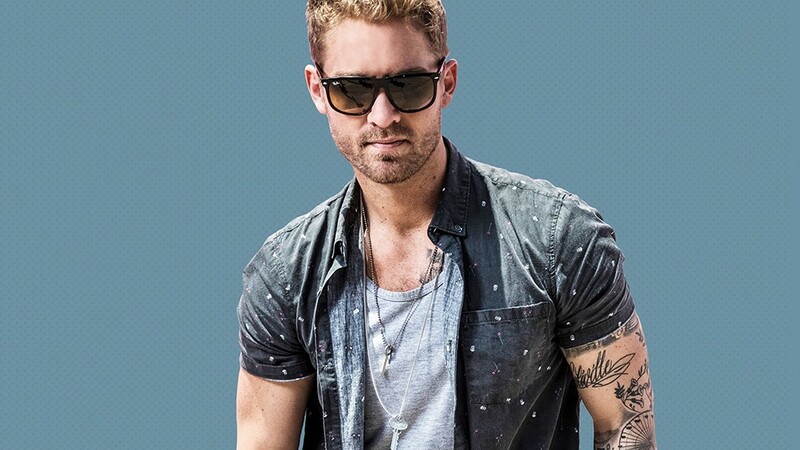 Vina Robles Amphitheatre opens its season with Brett Young on Friday, April 27 (8 p.m.; all ages; $32.50 to $42.50 at vinaroblesamphitheatre.com), bringing his "Caliville" style—a mix of Nashville and California. The Scotty Mac Band opens. If you want to hear a country artist who counts Garth Brooks, Foo Fighters, George Jones, and Blink-182 among his inspirations, check out Sam Riggs when he plays a Numbskull and Good Medicine Presents show on Saturday, April 28, at BarrelHouse Brewing (6 p.m.; all ages; $16 presale at ticketfly.com and Boo Boo's or $20 at the door). 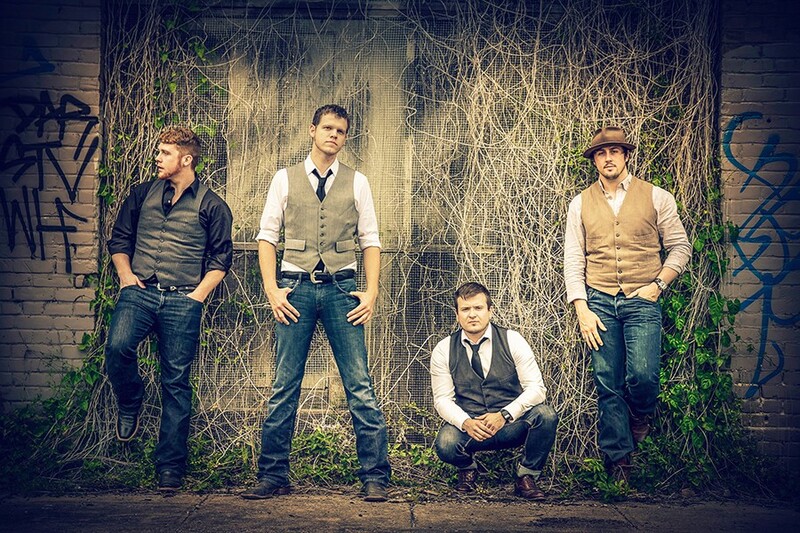 SOUTHERN GENTLEMAN Numbskull and Good Medicine Presents Texas country singer Sam Riggs on April 28, at BarrelHouse Brewing. He hailed from a broken home and had a rough childhood, tried and failed in places like Nashville, but Riggs knew he had something, and he never quit. "Life is full of mountains," Riggs said in press materials. "I have to have something to climb. As soon as I climb one mountain peak, I'm looking for the next one, and that's sort of what music has been for me all along." Today he has 2.2 million streams on Spotify and more than 600,000 views on YouTube, plus singles reaching the Texas charts. Keep climbing, cowboy. 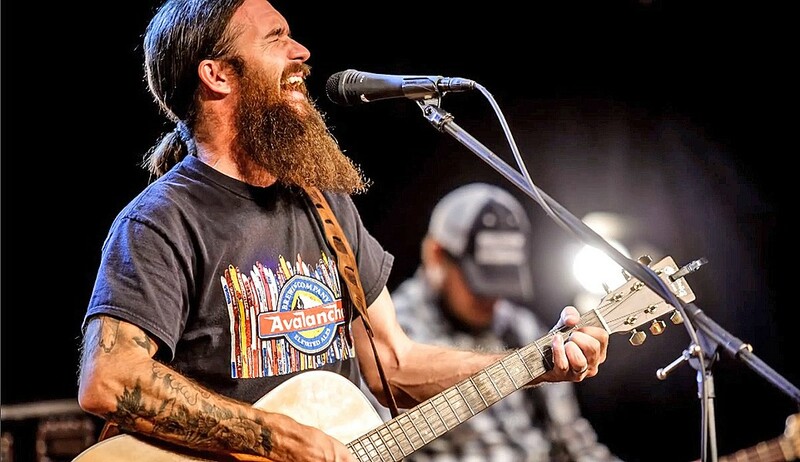 Cody Jinks has a deep baritone voice and a head full of gritty country songs, and he plays the Fremont Theater on Wednesday, May 2 (8 p.m.; all ages; $37 to $77 at eventbrite.com and Boo Boo's), with Sunny Sweeney and Ward Davis opening. OUTLAW Cody Jinks brings his deep baritone and moody country songs to the Fremont Theater on May 2. According to his bio, Jinks spent a decade playing empty barrooms and making no money: "Yeah, I've been pretty good at losing money. Not the greatest feeling in the world to be gone from home for long stretches of time, only to walk in the door broke. But I never gave up. Never even had that thought." Now he's a Saving Country Music's Album of the Year award winner and his critically acclaimed album I'm Not the Devil broke the Top 5 On Billboard Country and Independent Album Charts. You don't make it in the music biz by giving up! If you had hoped to attend the March 30 recital featuring violinist Brynn Albanese and pianist Ian Scarfe, you no doubt learned it had to be postponed, but this Friday, April 27, the pair will play works by Brahms, Mozart, Respighi, Piazzolla, Bach, Kreisler, Borowski, and John Williams, in SLO's Community Baptist Church (51 Foothill Blvd. ; 7:30 p.m.; all ages; $20 donation at the door). Sweet Springs Saloon is hosting its grand reopening weekend starting Friday, April 27, with local reggae act Resination (10 p.m. to close). Hear the Rachel and Bobby Santa Cruz Band playing an eclectic mix of classics on Saturday, April 28 (3 to 6 p.m.), and acoustic alt-rocker Jaxon Camaero of Ghost/Monster plays a solo set at 8 p.m. On Sunday, April 29, you're the star when Rachel Santa Cruz hosts an open mic (8 to 11 p.m.). All events are 21-and-older and free. The Grilled Cheese Incident food truck will be on hand to dish out gourmet grilled cheese sandwiches. Come on! Let's welcome back the new and improved Sweeties! Arroyo Grande's Branch Mill Organic Farm and Retreat Center (2815 Branch Mill Road) presents its Spring Festival this Saturday, April 28 (11 a.m. to 4 p.m.; all ages) with a variety of local musicians playing throughout the day, culminating in a performance by Erin and The Earthquakes at 3 p.m. Titled Food for the Body, Care for the Soul, Love for the Land, the festival will feature organic food. December '63—a Tribute to Frankie Valli and The Four Seasons is scheduled for Saturday, April 28, in the Clark Center (8 p.m.; all ages; $39 to $49 at (805) 489-9444). Hear classics such as "Sherry," "Walk Like a Man," "Big Girls Don't Cry," "Candy Girl," "Dawn (Go Away)," and more. Mission Gold Jazz Band from Monterey and The Tevis Rangers Junior High School Jazz Band of Bakersfield will be playing "Hot Swingin' Jazz" at the Basin Street Regulars' concert on Sunday, April 29 (1 to 4 p.m.; all ages; $10 at the door). Mission Gold plays the work of Louis Armstrong, Jelly Roll Morton, King Oliver, Lu Watters, and Turk Murphy. The San Luis Obispo County Band presents its annual Spring Concert on Sunday, April 29, at Arroyo Grande's First United Methodist Church (3 p.m.; all ages; $10 donation requested at the door). Titled Bernstein, Broadway, and More, the program will include West Side Story selections as well as the overture to Candide, plus James Horner's Hollywood Blockbusters and more. Sunday, April 29, celebrated organist Namhee Han will play the Forbes Organ in the Performing Arts Center's Harman Hall (3 p.m.; all ages; $24 students and $30 general, at (805) 756-4849 or calpolyarts.org). Expect selections by Bach, Handel, Wagner, Mozart, Faure, Verdi, and more. PUMP UP THE VOLUME Jungle Fire brings its Latin and Afrobeat sounds to The Siren on April 29. The SLO Record Swap and Traffic Records (Atascadero's new record store), in conjunction with public radio station KCBX 90.1FM, are sponsoring a concert with amazing Latin and Afrobeat act Jungle Fire this Sunday, April 29, at Morro Bay's The Siren (doors at 7 p.m.; 21-and-older; $10 presale at Traffic Records, Boo Boo's, and ticketfly.com, or $15 at the door). Jungle Fire is touring in support of their excellent sophomore release, Jambu. As part of Songwriters at Play, San Diego singer-songwriter Kara Connolly plays the Morro Bay Wine Seller this Monday, April 30 (6:30 p.m.; 21-and-older; free). According to press materials, she "writes infectious songs that make you want to hop in a convertible and drive down the PCH with your four best friends." L.A.-based indie pop artist Carly Van Skaik will also bring her soulful voice and Mazzy Star-like songs to the venue. In addition to the featured performers, there'll be a handful of performers doing four-song sets. 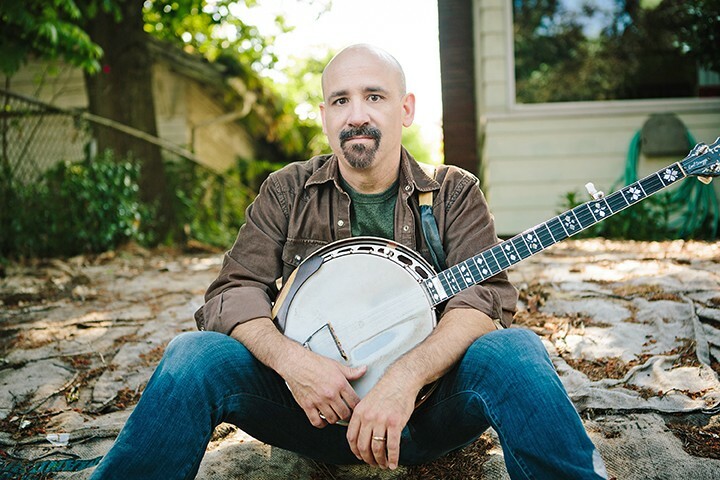 BLUES TO BLUEGRASS Award-winning singer-songwriter and multi-instrumentalist Tony Furtado and his band plays Painted Sky Studios on May 3. The Painted Sky Concert Series presents The Tony Furtado Trio next Thursday, May 3 (8 p.m.; all ages; $22 at Boo Boo's, Ball & Skein, or by calling (805) 927-8330). Furtado is an award-winning singer-songwriter and multi-instrumentalist who plays everything from bluegrass to blues and folk to rock.